楽天トラベルアワード2012　インバウンド賞受賞!! Got a prise as international tourism accomodation. 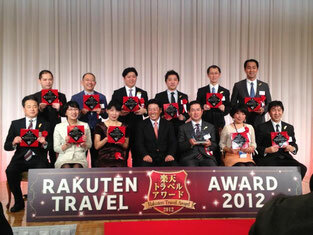 We received a prise as the most international tourist accomodation in Chugoku and Shikoku area by Rakuten travel co.
We are appliciate to Rakuten travel co. and our guest especially from the global.